This is probably my favourite salad. I love it, always have. I remember going out for lunch 'in the olden days-pre husband and kids' and this is the salad I always ordered. The flavours to me are lovely. I love it by itself, but to make a complete meal it is lovely with the chicken. This salad is always a hit at parties, a real crowd pleaser, it is always the first salad to go. In all honesty, I have not met anyone that doesn't like it. When I do take it to parties I tend to make each stage separately at home, and when I get to the party I dress and add all the other elements in just before serving, so it doesn't get to the party with soggy croutons and limp salad. For the dressing a blender works best, but you can make it in a small food processor. The dressing can be made in advance, just keep refrigerated until needed. If it is too thick, you can thin it down by adding a teaspoon of water (at a time) and mixing it in, just don't add too much water. 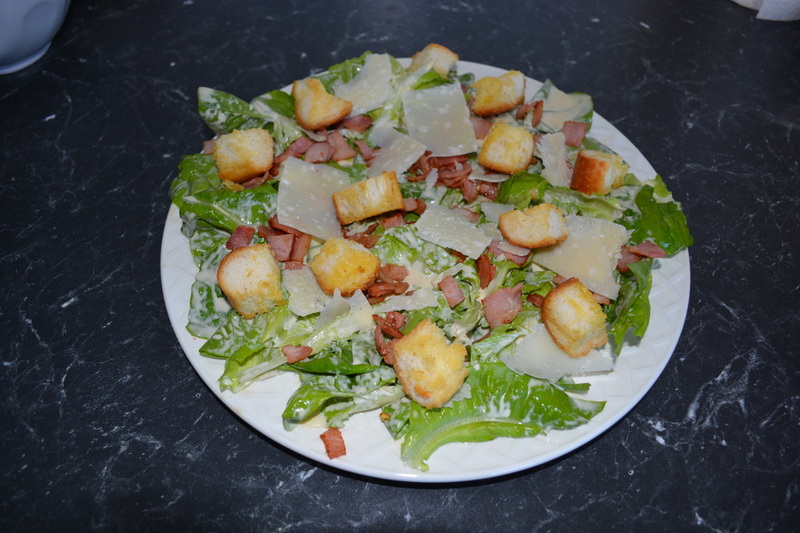 Give my Caesar salad ago, it is really good. 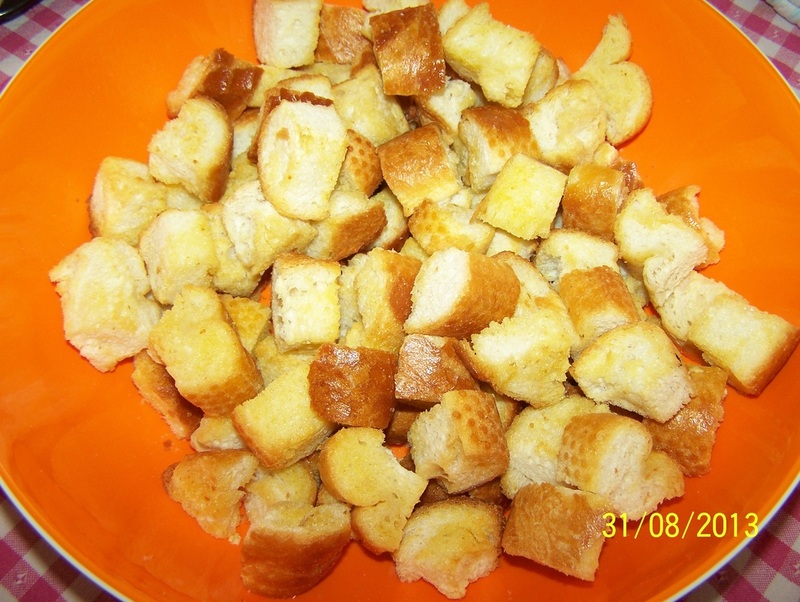 Croutons: Preheat the oven to 180C. Split the breadstick in half, then chop up the breadstick into bite sized croutons. Place the bread on a baking tray lined with baking paper. Melt the butter, add the oil to it. Pour the butter mix and garlic over the bread, mix to coat the bread with the butter. Place in the oven for 10 minutes, remove from the oven and allow to cool. 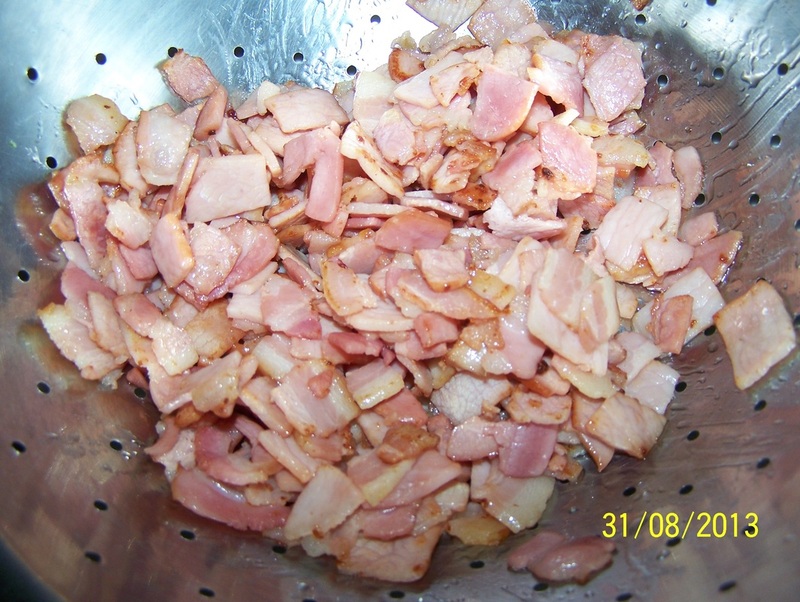 Bacon: Fry the bacon in a non stick frying pan until crisp, drain on absorbent paper or in a colander. Chicken: Add the chicken to the same frying pan the bacon was cooking in. Fry on both sides until browned and cooked through. Slice into 1cm thick slices. Parmesan: Using a vegetable peeler, peel flakes of parmesan, you will need approximately 1/2 cup of these. 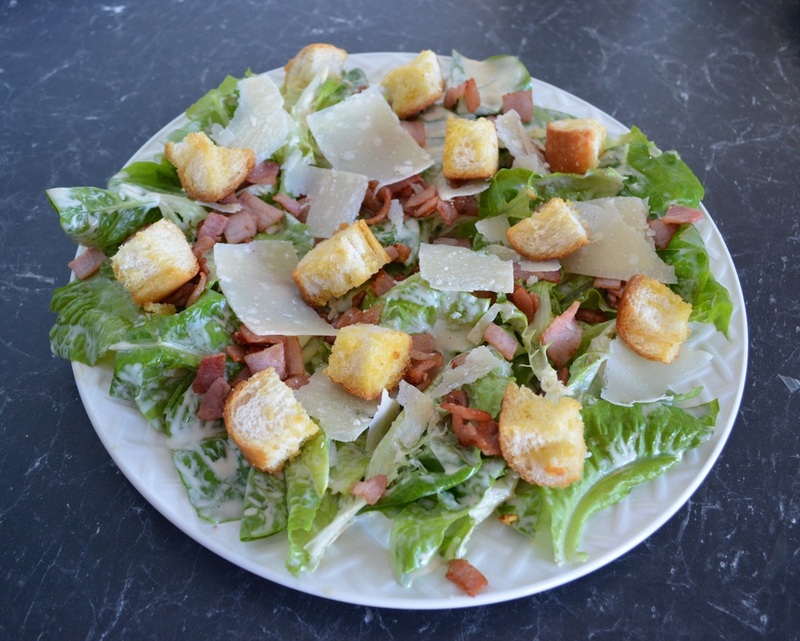 The Salad: In a large bowl combine the lettuce, bacon, chicken, croutons and parmesan. Drizzle with the dressing, toss to combine.